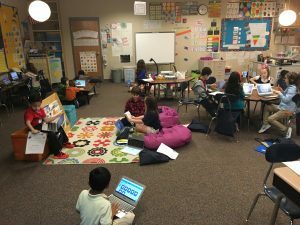 Indiana’s Metropolitan School District of Warren Township is rapidly emerging as a personalized learning leader in the nation’s heartland. The district, one of sixteen winners of federal Race to the Top District grants from the U.S. Department of Education in late 2012, launched its first cohort of five schools implementing personalized instructional models in January 2016. Superintendent Dena Cushenberry and her leadership team chose a deliberative strategy to retool their schools’ teaching approach “to prepare their students for their future, not ours.” They implemented new commitments to professional development for their teachers to master the new pedagogy, embracing participatory innovation and a willingness to experiment. 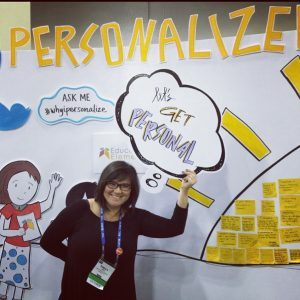 Using short- and long-term goals around growth as personal development plans for teachers and students alike, Warren’s classroom culture evolved into one where personalizing teaching and learning could thrive comfortably. Details follow. 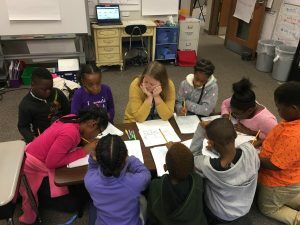 On the east side of Indianapolis lies an encouragingly innovative school district: the Metropolitan School District of Warren Township. With forward-thinking, idealistic, yet practical leadership, the district is showing why deeply embracing the opportunities of personalizing learning for students is transformational, while breaking new ground on how to do it at scale and with quality. The leadership of the Metropolitan School District of Warren Township (Warren) clearly recognized there were significant challenges with student performance and expectations. Academic achievement was dismal, attendance was weak, attitudes were poor, fights were frequent, and schools were turnaround targets. Personalized Learning classroom in Liberty Park Elementary School. “Innovate at all times….Educate all….Inspire everyone to live a full and fulfilling life.” When Warren Superintendent Dena Cushenberry, established these words as the district’s mission, it became immediately clear that she was not looking to continue with business as usual. Partnering with Education Elements, a national personalized learning consultancy with a powerful track record of improved student outcomes, the district officially turned on their first personalized learning cohort with five schools beginning in January 2016. 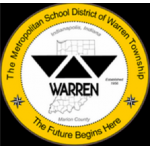 The Metropolitan School District of Warren Township serves 12,300 students on the east side of Indianapolis. The district includes nine elementary schools, three intermediate academies serving grades five and six, three middle schools, a high school, and an alternative school. In addition, Warren has an early childhood center and a career center. Students of color comprise a majority of Warren’s students, who come from diverse and generally high-poverty households. About half are black, a third white, and ten percent Latino. More than seventy percent of students are eligible for free or reduced price meals, and one in four families with children live below the poverty line. The leadership of the Metropolitan School District of Warren Township clearly recognized there were significant challenges with student performance and expectations. Academic achievement was dismal, attendance was weak, attitudes were poor, fights were frequent, and schools were turnaround targets. Instilling a culture where teachers are not afraid to fail at trying something new became a central element of the professional culture Dr. Cushenberry and her team put in place. “If they stumble, our teachers know we’re going to be there to help them keep moving forward,” said Cushenberry. Instead of mandating teachers use one particular approach to personalized learning and implementing it top down, Warren established guardrails for staff to define their own approach to crafting personalized learning from the ground up. In effect, it was taking a personalized approach to implementing personalized learning. “We are giving professionals autonomy,” explains Ryan Russell, Assistant Superintendent for Educator Effectiveness at Warren. “We’re providing them with a personalized path.” Instilling a culture where teachers are not afraid to try something new — and sometimes not succeed — became a central element of the professional culture Dr. Cushenberry and her team put in place. When the district was ready to undertake the change, they gave each teacher a bar of soap. “This is going to be messy,” leadership told staff, “but that’s okay. Be prepared for the messes. When messes happen, pause, evaluate what happened and why, and be ready to jump right in with another iteration. District leaders set a goal that every school reduce suspensions by 5 percent each year following their transition to personalized learning. It’s a goal every school has consistently surpassed. By addressing climate and culture alongside a flexible, personalized learning approach, the district was reorienting attitudes and practices — a powerful combination. The Culturally Responsive Positive Behavioral Interventions and Supports (CR-PBIS) model is embedded in the Warren’s CORE values: Civility; Order; Respect; and Excellence. All Warren schools began implementing a CR-PBIS framework in the 2014-2015 school year. CR-PBIS has been used to address behavioral concerns based on what the district wants students to do. Each building team uses data to determine areas of strength and what additional support may be needed, which helps faculty members improve academic and behavioral outcomes for all students. The results from the transition to personalized learning have been encouraging. Students in the first two cohorts grew 22 percent more than nationally-normed growth targets in reading and 7 percent above nationally-normed growth targets in math. Frequent implementation of targeted instruction and use of student reflection is on the rise, as 85% of teachers surveyed in the fall, and 87% in the spring, report that they frequently target instruction to address specific student needs. 81% of teachers surveyed in the spring felt they were using data effectively to differentiate instruction for individual students, up 16% from the beginning of the school year. In Warren, transitioning to their new, personalized instructional model relied heavily on evolving the relationship between teacher and student. 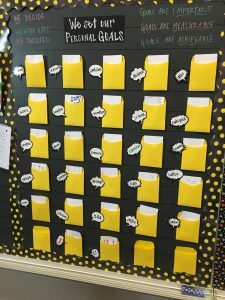 Middle School SMART Goals on display in a classroom. Accelerating the feedback students receive in response to their work is another integral strategy to the success of a personalized teaching and learning model like Warren’s. All too frequently, the personal technology students use every day provides an excitement that quickly turns to detachment when they are required to power down during the school day. This disengagement frequently transfers to the way they regard teachers within the passive learning environment of a traditional classroom. For teachers whose personal engagement with technology has, for the most part, been far less a part of their everyday lives than it has been for the children who are their students, its integration offers different benefits. In Warren, teachers quickly assimilated benefits from higher levels of student engagement, and learned to reposition their role within the classroom to one where their personal connections with their students became more frequent and more informative. Charles Woods, principal of Brookview Elementary, said, “I want to know how you’re holding children accountable.” He tells his teachers about what to expect from their observation process. “It’s not about the one data point you, the teacher, like the best.” He guides his teachers to make sure they take the time to teach children the core expectations for their work on digital content. He then works with every teacher on how they get their students to buy into their goals. Students’ academic growth is the most important indicator under Warren’s model. At end-of-year awards ceremonies at each school, the biggest awards are for the students who made the most growth. Warren’s elementary classrooms emphasize personal goals for all children. In many districts, innovative practices have grown haphazardly, resulting in a smattering of new practices, with various educators trying different software applications, content, methods, and pedagogies. This type of innovation is not replicable or scalable, leading to disconnected efforts, failure and frustration. Borrowed from related ideas in social sector reform and business research and development, participatory innovation attempts to meaningfully involve ‘ordinary’ people in innovation, rather than just relying on a small number of ‘experts’ with strong opinions. A participatory innovation approach takes identified needs, methods, and capabilities as a starting point to generate scalable new behaviors and tactics. Participatory innovation can bring together different and sometimes conflicting perspectives. Innovation is messy, full of different intentions and tensions, where all participants do their best to maintain some level of control over the change. However, it is likely that innovation emerges exactly when people are challenging each other in the specific implementation of innovation. In Warren’s case, Superintendent Cushenberry and her team are using participatory innovation to involve teachers in developing and layering Warren’s personalized learning approach, which fits within its larger district improvement strategy. The district is including participants in innovation by using a phased approach to introducing personalized learning through blended learning; managing the adaptive digital content curation and adoption process; and moving from teacher-led, student-passive instructional models to teacher-informed, student-owned personalized learning. Starting with participatory innovation and focusing on why Warren is launching, scaling, and sustaining innovation may be one of the most critical elements in implementing personalized learning in other districts looking to learn from Warren’s experience. How Are Teachers Getting Students to Take Ownership of Their Learning? Pam Griffin is the award-winning Principal of Stonybrook Middle School in Warren Township. The effectually engaging Ms. Griffin has led Stonybrook for five years, leading its transition to a personalized learning instructional model. 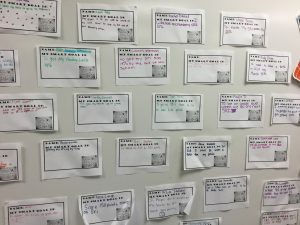 A seemingly endless wellspring of instructive and encouraging insights, honed over her 19-year career as a middle school educator and administrator, she shares some of her observations about how Stonybrook’s teachers and students grew to take true ownership of their student-centered learning model. We are so focused on getting kids to take ownership of their goals, particularly in math and English Language Arts. We call that a success skill. We are constantly iterating, constantly looking at what we can do better, how we can refine? Our teachers will constantly ask themselves, “Do I want to go ahead and iterate now?” That’s one of our real strengths at Stonybrook, and one thing I really appreciate about our staff – they don’t wait too long to make changes. What do we need to do in terms of enrichment, helping the kids set different goals? So we want to have multiple points of data, what do we want to use right now? All of those areas become part of the teachers’ lesson plans, depending on what they want to do. Our students struggle with time management. As educators we help them manage their time, which helps them have ownership over their growth. We’re at a point right now at Stonybrook with our kids, when a kid sets a goal for themselves, and they own it, they say, “This is about me and my needs.” Sometimes when a kid falls short it breaks their heart. Superintendents and other leaders can be the catalysts for change, as well as chief change managers. They need to help everyone, but especially teachers, work as part of a system; but it takes leaders to address obstacles and opportunities inherent in the existing system that need to be addressed so the district can achieve its goals. Teachers in each school worked collaboratively to develop a strong culture for personalizing teaching and learning. Through deliberate, structured, and thoughtful implementation of blended learning to personalize instruction for all students in the district, Cushenberry and Reynolds, as well as the whole leadership team, ensure Warren teachers were — and continue to be — provided the professional development and ongoing support necessary to meet the needs of every student to accelerate achievement. Establishing a new professional culture where failure can be accepted is no easy task for any executive. When working with an experienced team of professionals with an already-intact set of norms and protocols, managing such a change calls for vigilant navigating. The success of a major structural innovation like personalized learning is the product of a well thought-out and expertly managed process in which many changes are implemented and assimilated into the routines and practices of the district, its schools and classrooms. Such repositioning of educators’ foundational professional dynamics is an entirely appropriate process in light of the challenge awaiting them in their classrooms: shifting from the teacher-centric models that have come to characterize most American public education to a model which is intrinsically student-centered. Some educators have described traditional classrooms as representative of a “factory model,” where the business of teaching and learning asks students assume a passive posture where their advancement is connected more to the passing of allotted time intervals, rather than mastery of content. 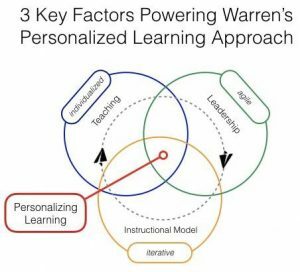 Successfully implementing a personalized learning model like Warren’s requires that students assume a much more active role in their own learning. Fortunately, as Warren’s teachers have progressed through this process, they came to understand that most students could quickly assimilate their new responsibilities under this model because they were naturally inclined to prefer it. Warren’s leadership knew there were symptoms of something fundamentally off-track. The district’s schools serve families facing some of the area’s more challenging economic conditions. Led by Superintendent Cushenberry, the district decided they needed to do more than just address the symptoms of their problems; they needed to rethink the purposes and methods of the education they were providing the mostly minority and low-income student body. They dug deeper to better understand the root causes of their challenges. Every organization knows WHAT they do, or should do. Some organizations have a good approach to HOW they organize and prioritize their actions. 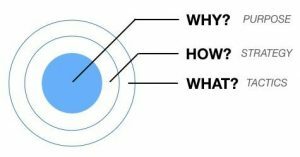 Very few organizations have a guiding and coherent purpose — the WHY of what they do in the ways they do it. Without knowing WHY, organizations do a lot but achieve little. Too many organizations try to get at WHY by going from the outside in, starting with WHAT, yielding conventional or limited results. Going from inside out and starting with WHY can produce truly remarkable results, as Warren is starting to demonstrate. Other great examples of this approach include Superintendent Ken Eastwood in Middletown, New York, and former superintendent Darwin Stiffler in Yuma, Arizona. Too many districts don’t start with WHY they are pursuing personalized learning — at least not at a deep, organizational level. Some may be relabeling past practice, or viewing it as a single tactic to use in a few classrooms, or an over-reliance on technology. Too often, implementing “personalized learning” is jumping on a bandwagon to patch over deeper challenges. Personalized learning, to be done well, at scale, and over-time, must start from the core of a district’s conception of itself and be instilled into the very fabric of all that it does — from teaching and learning, to professional development, to district leadership. This is a fundamental lesson from Warren’s experience. Michael B. Horn and Heather Staker, Blended: Using Disruptive Innovation to Improve Schools, (San Francisco: Jossey-Bass, 2015), p. 10. This entry was posted in Early Warning Blog, Education, Personalized Learning Case Studies. Bookmark the permalink.